Good scientific data collection involves a protocol that specifies where (i.e., spatial locations) and when (i.e., temporal instants) measurements are taken. Scientists want to answer “why” questions, and often space and time play critical roles. This workshop offers an intermediate-level and hands-on introduction to spatio-temporal statistical modelling with R, using case studies drawn from the environmental and ecological sciences. Key concepts of hierarchical modelling; overview of requisite background in spatial statistics. Data wrangling with spatio-temporal data. Spatio-temporal data classes in R.
Visualisation of spatio-temporal data using lattices and grammar of graphics. EDA for spatio-temporal data (including visualisation and empirical dimension-reduction) in R.
Standard statistical models for spatio-temporal data. Covariance functions and spatio-temporal kriging in practice. A sizeable portion of the workshop is hands-on. Participants are required to bring their own laptop with R, v3.3 or higher, installed. A list of required packages will be sent to the attendees prior to the workshop. Participants will receive a printed copy of the slides used in the presentations. This course is aimed at researchers and students with a Bachelor-level understanding of probability, statistical inference, and matrix algebra. Basic fluency in R will be assumed. Noel Cressie, FAA is Director of the Centre for Environmental Informatics within the National Institute for Applied Statistics Research Australia (NIASRA) and Distinguished Professor in the School of Mathematics and Applied Statistics (SMAS), University of Wollongong, Australia. He is the author of four books including Statistics for Spatial Data, rev. 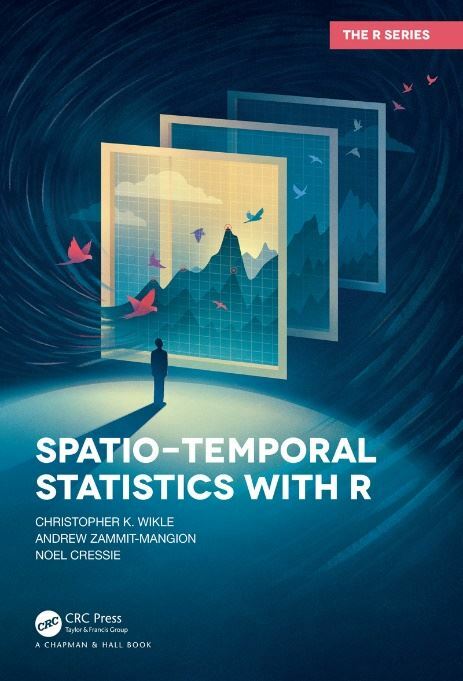 edn (Wiley, 1993), Statistics for Spatio-Temporal Data written with Christopher K. Wikle (Wiley, 2011), and the book upon which this workshop is based. 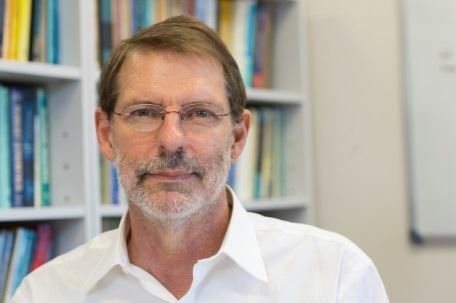 Among many honours, Noel has received the 2014 Pitman Medal from the Statistical Society of Australia (SSA) and was elected a Fellow of the Australian Academy of Science in 2018. Andrew Zammit Mangion is Senior Lecturer and DECRA Research Fellow in NIASRA and SMAS, University of Wollongong, Australia. He is co-author of two books, including one upon which this workshop is based, and he has published over 20 peer-reviewed articles in the field of spatial and spatio-temporal statistics. He is also the author of a number of related R packages available on CRAN. In 2013, Andrew was awarded a US National Academy of Sciences prize for his work on the modelling and prediction of armed conflicts. Attendees are responsible for arranging their own accommodation. Breaks: Morning and afternoon coffee/tea during the course and lunch on Monday 29 April are included in the course fee. Places are limited, and registrations will be processed on a first-come first-served basis. Please fill out the registration form available from https://niasra.uow.edu.au and e-mail it to Karin Karr (karink@uow.edu.au). Registration will be confirmed via an e-mailed receipt, once payment has been received. A certificate of attendance will be given at the end of the course. A refund minus a 20% cancellation fee will be given for cancellations up to 12noon (AEST), Friday 19 April, 2019. Beyond this deadline, no refunds will be given. For further information, please contact Karin Karr (karink@uow.edu.au, +61 2 4221 5076). Join us for three short talks on open science and reproducible research, given by Fiona Fidler, Hannah Fraser and Mathew Ling. Psychology, economics and some areas of medicine are in crisis due to the low reproducibility of their research findings. In psychology, researchers find contradictory results around half of the time when they redo studies. In ecology, it is more difficult and expensive to redo studies and we expect far more variation in results due to environmental stochasticity, so we are unsure of how reproducible results are. However, in other fields low reproducibility has been attributed to a number of practices that increase the chances of finding a significant result where no relationship exists. Hannah will discuss her work on Questionable Research Practices and describe a new large-scale project investigating the extent to which different (but still correct) analysis techniques are associated with differences in results and conclusions. Hannah Fraser is a research fellow at the University of Melbourne working in the Interdisciplinary Meta-Research Group (IMeRG). She is a quantitative ecologist by training but in addition to her love of conservation, has a strong interest in improving research methods. Hannah is particularly passionate about raising awareness about Questionable Research Practices, increasing the uptake of Registered Reports and investigating how replicable research is. Talk 2: Fiona Fidler – What are solutions to the replication crisis fixing? Pre-registration and Registered Reports are related proposals to help mitigate publication bias, and the problems (inflated false positive rates and effect sizes) that stem from it. There is mounting evidence that they are successful in important ways. There are also important questions about their scope, and what, if anything, might be more appropriate for research outside the Hypothetico-Deductive model that they presuppose. In this talk, I will briefly outline current issues in this area. Fiona Fidler is an Associate Professor and ARC Future Fellow at the University of Melbourne with a joint appointment in the School of BioSciences and the School of Historical and Philosophical Studies. She leads the Interdisciplinary Meta-Research Group and is lead PI of the repliCATS project. Open and reproducible research practices are non-default behaviours, but engagement in these behaviours can lead to improved outcomes for both the individuals that engage in them, and the broader community. In this way, engagement in reproducible research practices is comparable to behaviours like vaccination, and the models implemented there might provide insights into improving the robustness of modern research as practiced. This presentation will examine this comparison and discuss how reproducible research practices can be normalised. Mathew Ling is a Lecturer in Psychology at Deakin University, where he teaches and conducts research in the Misinformation lab. 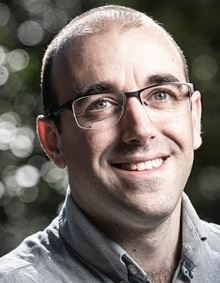 He is also an advocate for open and reproducible research through the Melbourne Open Research Network and as an Ambassador to the Center for Open Science. In its 15th consecutive year, Data Day will bring you the leading minds in data & analytics, digital and marketing to showcase the data strategies driving success at the world’s biggest brands. The speakers at Data Day 2019 will discuss how data & analytics can deliver on business objectives, how data programs are being used to transform customer communication, insights into GDPR adoption in Australia as well as hands on case studies on what tools marketers use to democratise data. Learn how to overcome data challenges within your own organisation in order to better engage with new and existing customers. Showcasing the latest and most innovative applications of data to drive experience - In its 15th consecutive year, Data Day will bring you the leading minds in data & analytics, digital and marketing to showcase the data strategies driving success at the world’s biggest brands. The Chief Data & Analytics Officer Exchange brings together the most innovative and insightful technology leaders across industries for in-depth discussions and exchanges of experience and ideas to address the emerging landscape of digital business in a digital economy. The event focuses on developing an enterprise-wide data strategy, enabling data-driven decision making across the business, and building organizational capability for advanced analytics. ABSTRACT: Multimorbidity is common and becoming the norm. One in five Australian adults live with multimorbidity, and its prevalence is highest amongst women and those age 65+ years. However, there exists a substantial multimorbidity burden at mid-life, where acceleration of multimorbidity occurs. Multimorbidity represents a significant burden to individuals, the health system and society. It is associated with lower quality of life, higher mortality and disability, polypharmacy, reduced function and increased health care utilisation. Globally, the prevalence of multimorbidity is estimated to range between 3.5% (at age 75) and nearly 100% (at age 85 years). The wide variation in the prevalence is mainly due to the challenges in multimorbidity measurement and methodology. Common methods used to measure multimorbidity do not account for disease severity or duration of disease, both which are clinically relevant and can influence quality of life. This seminar describes the development and validation of a multimorbidity index for mid-age women, which addresses this gap, using data from the Australian Longitudinal Study on Women's Health. BIOGRAPHY: Jeeva Kanesarajah is a Biostatistician and PhD Candidate with the Australian Longitudinal Study on Women's Health, University of Queensland, School of Public Health where she is at the final stages of her doctoral research on the Burden of Multimorbidity on Australian Women. Jeeva holds a Master of Biostatistics, and a Bachelor of Mathematics and Statistics. Jeeva’s main research interests include using statistical techniques to model health data including linked data to better understand population health characteristics and its impact to the individual, health system and society. For further information please contact the Branch Secretary, Rick Tankard, Murdoch University. He can be reached by email at rick.tankard@murdoch.edu.au or by phone at (08) 9360 2820. This short course focuses on model selection techniques for linear and generalised linear regression in two scenarios: when an extensive search of the model space is possible as well as when the dimension is large and either stepwise algorithms or regularisation techniques have to be employed to identify good models. We incorporate recent research on graphical tools for model choice and on how to tune regularisation procedures, such as the Lasso through resampling or model selection criteria. Importantly, the limitations of the various model selection procedures will be discussed. A key component of the course is assessing the stability of selected components which is paramount for reliable predictive final models. We show how this can be achieved through visualizing measures of stability. The practical implementation of the discussed methods is an essential component of this course. Interactive labs will give participants the opportunity to apply what they have learnt. We will use the cross-platform, open-source software R, in particular the leaps, bestglm, glmnet and the mplot packages. Part 1: Exhaustive model searching with leaps and bestglm packages. Part 2: Penalised regression methods as fast alternatives when exhaustive search is not possible. An introduction to cross-validation for model selection and the glmnet package. Part 3: Assessing stability in model selection by bootstrapping regression models and visualising the results using advanced graphics with the mplot package. The aim of all analyses is to use the data and, if available, information about its generating process, to construct statistical models which parsimoniously describe relevant and important features in the data. Too often in applied statistics, model selection is based on outdated methods, for example stepwise techniques. This workshop will highlight the limitations of established model selection methods and showcase more recent approaches for selecting with a focus on selecting a stable model. Statistical model building is a fundamental part of many statistical analyses and will be of potential interest to anyone who wants to learn how to better select such models with increasingly high-dimensional and complex data. Samuel Mueller is a Professor of Statistics at the University Sydney and has 16 years’ experience as a mathematical statistician renowned for his contributions in model selection, classification and prediction for statistically challenging data. He has held academic positions at the University of Bern (Switzerland), ANU and UWA before having joined USyd in 2008 as a Lecturer with fast promotion to Professor by 2018. He currently leads two research groups on Theoretical Statistical Model Selection at the ANU (with Prof Welsh) and on Fast and Interactive Methods for Complex High-Dimensional Data at USyd. He was appointed by the Australian Research Council on their College of Experts for 2019-2021 as one of two members only representing Statistics as a discipline, is the Associate Dean Research Education (since 2016) in the Faculty of Science and serves as the Deputy Head of School (since 2019). He is also an Editor (Theory & Methods) of the Australian and New Zealand Journal of Statistics and Past-President of the International Biometric Society – Australasian Region. Further details about Professor Mueller’s research can be found here. Garth Tarr is a lecturer in statistics and data science at the University of Sydney. He has received more than A$3.3M in competitive grant funding and a number of citations for his teaching, including a Vice-Chancellor’s Award for Teaching Excellence in 2016. He received his PhD in Mathematical Statistics from the University of Sydney and has held positions at the University of Newcastle and the Australian National University. His diverse interests include robust statistics, data visualisation, model selection, econometric modelling, educational research, meat science and biostatistics. Garth is an expert R user and has created several R packages, including the mplot package, and has been a regular contributor to the Biometric Bulletin’s Software Corner. Further details about Dr Tarr’s research can be found here. Full-time students can sign up for student membership with the SSA for only $20 for 12 months to take advantage of the student member rate! Regular membership is $245. Registrations close strictly on 5 May 2019. Early Bird registration closes on 16 April. Occasionally workshops have to be cancelled due to a lack of subscription. Early registration ensures that this will not happen. Please contact the SSA Office before making any travel arrangements to confirm that the workshop will go ahead, because the Society will not be held responsible for any travel or accommodation expenses incurred due to a workshop cancellation. Cancellations received prior to Monday, 6 May 2019 will be refunded, minus a $20 administration fee. From 6 May onwards no part of the registration fee will be refunded. However, registrations are transferable within the same organisation. Please advise any changes to eo@statsoc.org.au. ESPOL Polytechnic University is proud to host ICORS-LACSC 2019 on May 28-31, 2019. This year, the International Conference on Robust Statistics (ICORS) and the Latin American Conference on Statistical Computing (LACSC) will be jointly organized in Guayaquil, Ecuador. The 2nd LARS-IASC School on Computational Statistics and Data Science will be a satellite event on May 26-27, 2019. Details and date to be confirmed. Semiparametric regression methods build on parametric regression models by allowing more flexible relationships between the predictors and the response variables. Examples of semiparametric regression include generalized additive models, additive mixed models and spatial smoothing. The presenter's goal is to provide an easy-to-follow applied course on semiparametric regression methods using R. There is a vast literature on the semiparametric regression methods. However, most of it is geared towards researchers with advanced knowledge of statistical methods. This course is intended for applied statistical analysts who have some familiarity with R.
This short course explains the techniques and benefits of semiparametric regression in a concise and modular fashion. Spline functions, linear mixed models and Bayesian hierarchical models are shown to play an important role in semiparametric regression. There will be a strong emphasis on implementation in R and rstan with most of the course spent doing computing exercises. The workshop is based on the in-press book “Semiparametric Regression with R” by J. Harezlak, D. Ruppert and M.P. Wand (Springer, 2018), with website http://semiparametric-regression-with-r.net/, and has the companion methodology and theory book “Semiparametric Regression” by D. Ruppert, M.P. Wand and R.J. Carroll (Cambridge University Press, 2003), with website http://matt-wand.utsacademics.info/webRWCbook/ . Matt P. Wand is a Distinguished Professor of Statistics at the University of Technology Sydney. He has held faculty appointments at Harvard University, Rice University, Texas A&M University, the University of New South Wales and the University of Wollongong. Professor Wand is an elected fellow of the Australian Academy of Science, the American Statistical Association and the Institute of Mathematical Statistics. He was awarded two of the Australian Academy of Science's medals for statistical research: the Moran Medal in 1997 and the Hannan Medal in 2013. In 2014 he was awarded the Statistical Society of Australia's Pitman Medal. He has served as an associate editor for several journals including Biometrika, Journal of the American Statistical Association and Statistica Sinica. He has co-authored 3 books, more than 100 journal articles and 6 R packages on semiparametric regression and related areas. Most of the course will be geared towards researchers with intermediate to advanced knowledge of statistical, particularly regression methods. Registrations close on Thursday, 20 June 2019. The workshop fees include morning tea and lunch. The workshop will be held at the University of Sydney (Room 705, Level 7, Carslaw Building, University of Sydney, Camperdown NSW). Workshop delegates will need to bring their own laptop. About three weeks before the workshop they will receive instructions on which software to install prior to the event. More options can be found by entering "Carlslaw Building, University of Sydney" into a search on Google Maps and clicking on "Nearby" and then "Hotels nearby". Cancellations received prior to Thursday, 20 June 2019 will be refunded, minus a $20 administration fee. From then onwards no part of the registration fee will be refunded. However, registrations are transferable within the same organisation. Please advise any changes to eo@statsoc.org.au. The Mathematics Education Research Group of Australasia provides an inclusive and cosmopolitan Conference for mathematics educators and academics involved in mathematics education. For more information please click here. Computational and Applied Statistics 2019 (CAS) is a workshop organised as part of the International Conference on Computational Science and its Applications - ICCSA 2019. This full day workshop is designed to provide participants with an understanding of some of the key skills involved in biostatistical consultancy, covering a range of topics including communication skills, how to reach and interact with different clients, how to manage consultancy projects from start to finish and how to secure funding. The course will feature presentations from statisticians experienced in biostatistical consultancy, as well as an interactive panel session to allow participants to pick the brains of our experts! Professor Julie Simpson is Head of the Biostatistics Unit at the Melbourne School of Population and Global Health and leader of the Biostatistics node of the Melbourne Clinical and Translational Science platform, University of Melbourne. She has 25 years’ experience collaborating with clinicians, basic scientists, epidemiologists and health policy-makers at universities and hospitals (and even refugee camps) based in Australia, Thailand, Vietnam and the United Kingdom. Dr Emily Karahalios is a Senior Research Fellow based in the Biostatistics Units within the School of Public Health and Preventive Medicine, Monash University; and the Melbourne School of Population and Global Health, The University of Melbourne. Emily previously held the position of Clinical Biostatistician at Western Health, where she provided biostatistical support to staff and students at Sunshine and Footscray Hospitals. A/Prof Susan Donath is a Senior Biostatistician and Epidemiologist and Deputy Director of the Clinical Epidemiology and Biostatistics Unit, Murdoch Children’s Research Institute. She has been a senior consulting statistician at the MCRI since 2003 and through this role has developed expertise in supporting all aspects of research design, protocol development, statistical analysis and reporting results. Dr Emi Tanaka is a lecturer in statistics at The University of Sydney working in the interface of genetics, statistics and computing. Her PhD work focused on statistical bioinformatics (in particular, with methods in DNA motif evaluation) but post-PhD, she provided specialist statistical inputs to various plant improvement programs as part of Statistics for the Australian Grains Industry project. Student membership with SSA is available to full-time students for $20 for 12 months. For more information please click here. Registrations close on Friday, 21 June 2019. Cancellations received prior to Thursday, 27 June 2019 will be refunded, minus a $20 administration fee. From then onwards no part of the registration fee will be refunded. However, registrations are transferable within the same organisation. Please advise any changes to eo@statsoc.org.au. The 34th International Workshop on Statistical Modelling (IWSM) will be held in Guimarães 7-12 July 2019. IWSM is one of the major activities of the Statistical Modelling Society, founded with the purpose of promoting and encouraging statistical modelling in its widest sense. The workshop aims to involve both academic and professional statisticians and data analysts with a particular focus on real data problems which involve an element of novel statistical modelling, or novel model application. Data has become the new oil of the 21st century. The collection, examination and modelling of today's data has become a valuable and much sought after skillset for businesses and large enterprises seeking the next generation of data science professionals. Currently one of the top paid technology jobs, data science is at the heart of many of the top Fortune 500 companies including Google, Facebook, Netflix and Tesla. The potential for impact in the new data driven world is limitless. The Research School on Statistics and Data Science 2019 (RSSDS2019) provides a series of workshops and papers delivered by experienced academic and industry members on the cutting edge statistics and data science applications and theory. Aside from being considered among the most desirable jobs of the 21st century, the real world value of data science and skilled data scientists cannot be understated. The most successful data science professionals are those who can hone the power of statistics, programming, domain knowledge and data visualisation. The Center for Survey Research(CSR) of Academia Sinica in Taiwan will hold an international conference on survey research methodology on 8 August and the morning of 9 August 2019. In addition, CSR will offer a four-hour workshop on Total Survey Error as a framework for high quality survey design on the afternoon of August 7. A second four-hour workshop on weighting for various types of survey data, such as panels, dual frames etc., takes place on the afternoon of August 9. The 62nd ISI WSC 2019 will bring together about 2,500 delegates, comprises statistical researchers, academia, industry practitioners, analysts and policymakers, from all over the world to share insights on development in statistical science and to advance application of statistics for discovery, innovation and decision making. About 1,300 papers in various statistical disciplines and applications will be presented and discussed over a period of five days. In addition to the Scientific Programme, satellite seminars, meetings and short courses will be organised as the pre- and post-congress events. The Young Statisticians Conference 2019 will be held on 1-2 October 2019 in the nation’s capital, Canberra. We are delighted that we were able to secure Manuka Oval for SSA’s signature event for students and graduates. YSC2019 will bring together the best students and early-career professionals in statistics and data analysis from all around Australia. You do not want to miss this conference! To keep up to date with YSC2019 please go to the official conference website. When you register for the conference you need to be logged in as a member of SSA to take advantage of the member discount. Please note that a one-year student membership with SSA is available to full-time students for only $20! Click here to register as a member of SSA and to see where your membership can take you! The YSC2019 dinner is not included in the conference registration fee. To register for the dinner click here. Cancellations received prior to Tuesday, 24 September 2019 will be refunded, minus a $20 administration fee. From then on no part of the registration fee will be refunded. However, registrations are transferable within the same organisation. Please advise any changes to eo@statsoc.org.au. After a busy conference day at YSC2019 let's enjoy an evening of relaxing, connecting and delicious Italian cuisine at the Salotto Bar while we celebrate women in statistics. You don't have to be female to do that! Please join us to discuss issues concerning women in statistics in Australia, and to network with fellow statisticians and supporters. Further details are available on our dedicated YSC2019 website. Salotto Bar is a popular family-owned Italian bar in Kingston. It has successfully managed to intertwine traditional Italian cuisine with an aromatic laidback atmosphere. The cost for the dinner is $20 for delegates of YSC2019 and $40 for everyone else and it will get you a starter, an entrée and a main course as well as a beverage, alcoholic or non-alcoholic. Registrations for this dinner close strictly on 24 September 2019. We would like to thank ACEMS for generously sponsoring this dinner. Cancellations received prior to Tuesday, 24 September 2019 will be refunded, minus a $10 administration fee. From then on no part of the registration fee will be refunded. However, registrations are transferable within the same organisation. Please advise any changes to eo@statsoc.org.au. 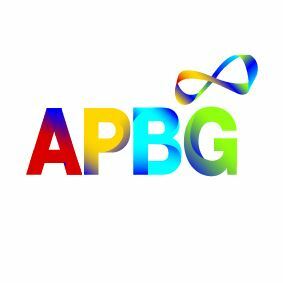 The Australian Pharmaceutical Biostatistics Group (APBG) and the Statistical Society of Australia warmly invite you to a workshop on "Network meta-analysis and population adjustment for decision-making", presented by David Phillippo. Network meta-analysis (NMA) is a method for combining evidence from several studies on multiple treatments of interest to provide a consistent set of relative effect estimates and is widely used for healthcare decision-making and guideline development. More recently, population adjustment methods have been proposed that use individual patient data from one or more studies to relax the assumptions of NMA and adjust for differences in effect modifying variables between populations, or even to incorporate disconnected networks and single-arm studies. The methods are becoming increasingly common in technology appraisal submissions to reimbursement agencies and raise new questions and challenges for analysts and decision-makers. David Phillippo is a Senior Research Associate in Statistics at the University of Bristol, UK. His research focuses on methodology for evidence synthesis, Bayesian Network Meta-Analysis (NMA), population adjustment methods for indirect comparisons, and accounting for bias in clinical guidelines. He is the lead author of a recent Technical Support Document published by the NICE Decision Support Unit on population-adjusted indirect comparisons, and has developed new methods extending the NMA framework to incorporate population adjustment combining individual patient data and published summary data. Day 1 of this course is aimed at statisticians, health economists, decision-makers, and systematic reviewers who are already familiar with pairwise meta-analysis, and who want to extend their knowledge to NMA and population adjustment methods. Participants will develop an understanding of these methods and the required assumptions and learn to assess and critique these types of analyses. Day 2 is aimed at those with technical experience of meta-analysis who want to apply the knowledge learned on Day 1 to hands-on practical examples. Participants will gain experience implementing NMA and population-adjusted analyses in an R package based on the Bayesian modelling language Stan. Learning Objectives Day 1 - Develop an understanding of network meta-analysis and population adjustment methods and the required assumptions and learn to assess and critique these types of analyses. Day 2 - Gain experience implementing NMA and population-adjusted analyses in an R package based on the Bayesian modelling language Stan. Early Bird registration closes on 30 June 2019. Regular registrations close on 15 October 2019. Cancellations received prior to Friday, 25 October 2019 will be refunded, minus a $20 administration fee. From then onwards no part of the registration fee will be refunded. However, registrations are transferable within the same organisation. Please advise any changes to eo@statsoc.org.au. The Australasian Data Mining Conference has established itself as the premier Australasian meeting for both practitioners and researchers in data mining. It is devoted to the art and science of intelligent analysis of (usually big) data sets for meaningful (and previously unknown) insights. This conference will enable the sharing and learning of research and progress in the local context and new breakthroughs in data mining algorithms and their applications across all industries. For more information please click here. The International Program Committee (IPC) of the International Biometric Society’s (IBS) 30thInternational Biometric Conference (IBC2020) calls for Invited Session proposals. IBC2020 will be held 5-10 July 2020 at the COEX (Convention & Exhibition Center), Seoul, Korea.